When an illness hits and you’re worried that it might be more than a very minor complaint, it’s never a bad time to reach out for the help of Michael Farzam, M.D. and House Call Doctor Los Angeles. Patients turn to us when they’re not feeling well but don’t want to deal with stressful L.A. traffic, only to then find themselves in a crowded urgent care waiting room surrounded by people who may have contagious illnesses. We’re here for you when you have a condition that doesn’t require a phone call to 911, but which does calls for rapid care to make sure your situation doesn’t turn into a crisis. 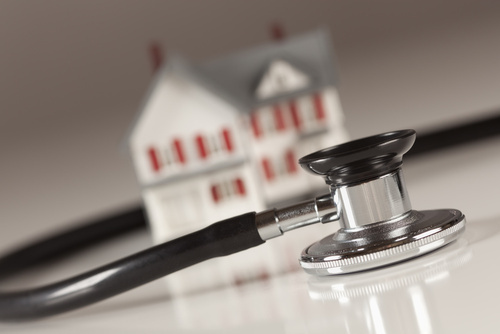 House Call Doctor Los Angeles is not just more convenient and much less stressful than an emergency room visit, in most cases it’s also less expensive! Too Busy to Wait for Care? With career and family obligations weighing on people from all walks of life, a lot of us are simply unable to sit and wait in a doctor’s office – especially when so many doctors value their own time far more than their patients’ schedules. Whether it’s lingering aches and pains, a cough that just won’t quit, stomach problems that just won’t sort themselves out, or anything else you know you need to attend to but can’t find the time for, Dr. Farzam and his team at House Call Doctor Los Angeles are here to help. And, remember, house calls aren’t limited to actual houses! Whether you’re in your office, a hotel, a film set, or just about anywhere else in Greater Los Angeles, an outstanding doctor can be where you are, sooner than you think! Even if we’re feeling fantastic, it’s important to check in with a qualified physician at least once a year in order to make head off any serious long-term health problems. Prevention and early detection are crucial in the treatment of most important health concerns, and regular doctor visits are an absolute must to make sure that threats are dealt with long before they become a crisis. There’s no easier or more convenient way of getting that annual visit than picking up the phone and contacting House Call Doctor Los Angeles. Want to Drop Your Current Physician or Medical Group? Medicine is not so different from any other profession – some medical providers are definitely better than others. If you’ve decided that your current medical care needs an upgrade, consider Michael Farzam, M.D. and the House Call Doctor Los Angeles team. No medical provider offers greater convenience, and ongoing in-home care provides a host of benefits. We also offer outstanding concierge options for patients who want to use our services on an ongoing basis and enjoy additional convenience and support. Call us at 310-849-7991 or visit our contact page now!